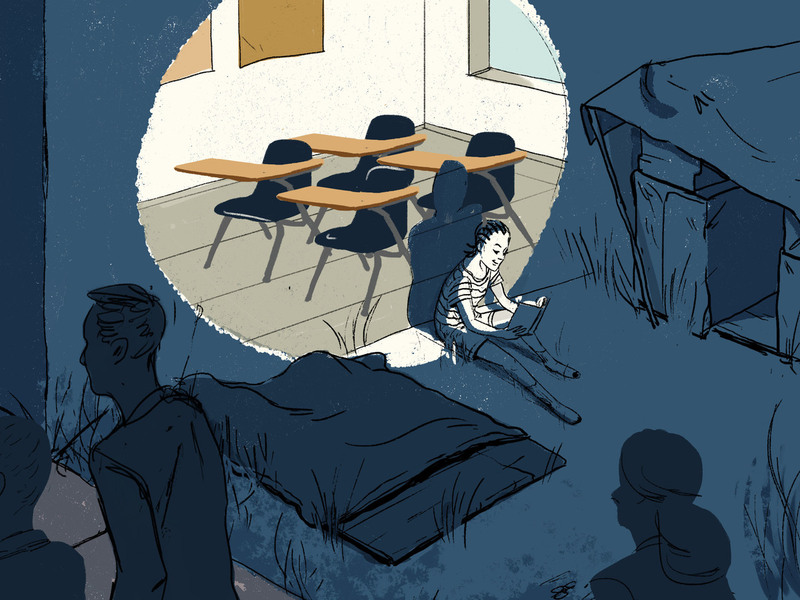 New Study Finds That 4.2 Million Kids Experience Homelessness Each Year : NPR Ed Those numbers are growing: About half of the youth who dealt with homelessness, experienced it for the first time, according to the study. Schools are often at the front line of this issue. He isn't sure what he would have done if he hadn't found that program: "I would have been on the street looking for someone to help, looking for my next meal, looking for my next shower, looking for my next place to sleep." One in 30 teens experience some type of homelessness and it's more common the older you get: one in 10 for young people aged 18 to 25. The study also found that African American youth are 82 percent more likely to experience homelessness. Young people often end up homeless because of family breakdown, abuse or abandonment and it's a problem that isn't properly addressed, says Arash Ghafoori, the executive director of the Nevada Partnership for Homeless Youth. "We really need to dial back and focus more on prevention," he says. "There's certain subsets of homeless youth that really require culturally sensitive and specifically tailored services." This population is often hidden, and this new study is a rare look at the scope of the problem; other takeaways include that these young adults often don't show up for school, or frequently switch between schools. As a result, many don't have high school diplomas. It's important for schools to be the one stable place for kids, where they can keep their friends and teachers, Stamp says.